I just couldn’t help myself and had to see Mr. Jamisen Louis again on Sunday before heading to Easter dinner with friends and family. It was such a joy witnessing the happy little family with their new baby boy. This has to be my favorite picture of all time. Look at his tiny little fingers! Jamisen catching some Sunday afternoon zzz’s. Anne-Marie’s husband is changing diapers and dressing infants like a pro! 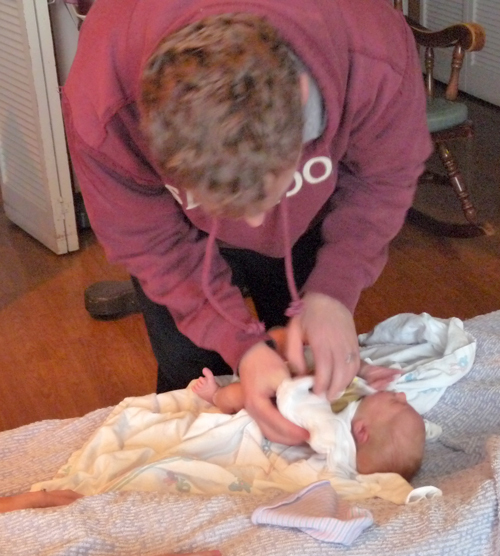 Here he is putting Jamisen in the famous I Love Soap Queen onesie. Anne-Marie’s Mom is the proudest Grandma on the planet. He looked pretty comfortable in Grandma’s arms and she’s soaking up every second of it! Yes! 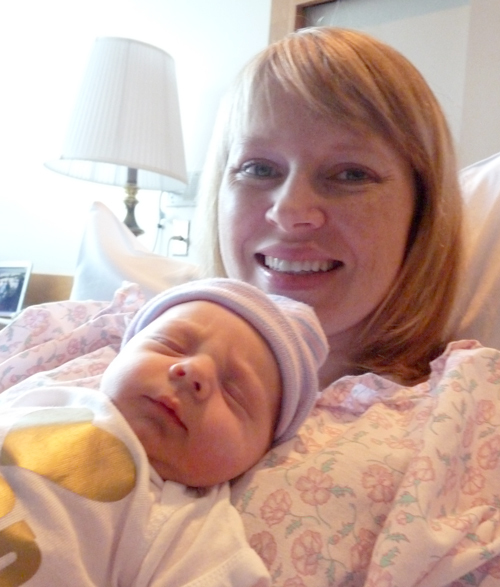 Congratulations…God Bless your sweet baby! Parabens pelo menino Anne marie e seu marido, o bebe é muito lindo. Deus que abençõe! Congrats, He’s adorable! God bless! Congratulations! He is so cute!!!! What a precious little baby! I love the Soap Queen onesie!! Oh my heavens! Now you will need to start blogging for those of us that do business and keep our little ones at home…. But knowing you, you will make it look easy!!! Congrats to ALL of you! Mommy, Daddy and the Grands to..!!!!! Oh my goodness! He is adorable. Congratulations! That sure is one beautiful baby! Congratulations! SOOooo SWEET!! Love those days!! I used to watch my daughter sleep and think wow she’s never had a negative thought or a bad thought about anyone. So pure. So innocent. You already look like a pro Mom!! And soon you will have your FIRST Mother’s Day!! You are Blessed!! Enjoy!! Congratulations!! Beautiful pictures, thank for you sharing. 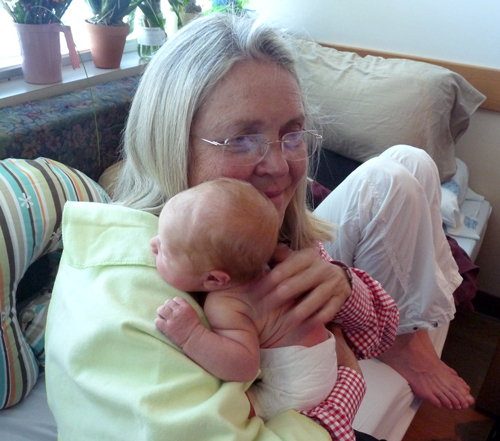 These lictures have brought back lots of wonderful memories of when my son was born – it’s the happiest time in any parents life and I am thrilled fror Anne-Marie and her husband. LOVE that yarn photo. He really is cute (& I don’t say that about all babies when they are 1st born, sometimes it takes a min. for them to grow into themselves, but not Jamisen… he’s gonna be a heartbreaker). Looking at him, I just can’t believe my own boy was ever that teeny tiny! It goes by so fast, enjoy every moment of it!! Congrats Anne Marie and your husband on your wonderful bundle of joy.God Bless and keep you strong:).The pics are sooooooo cute! He is perfect and beautiful and how on earth does Anne-Marie look so fabulous after giving birth?? 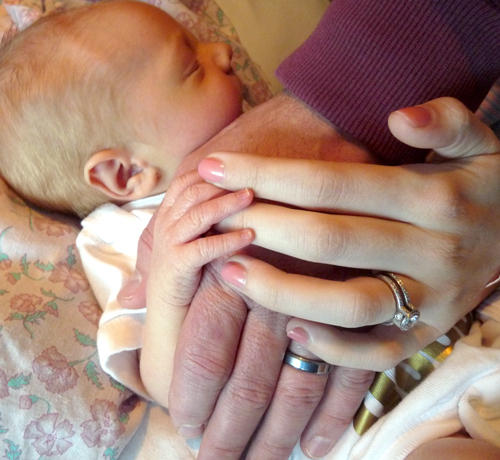 Ah, all those great infant-just-born pictures make me remember the smell of babies. THE SMELLLLLL. And the baby fuzz. Cuteness! Love the Soap Queen onesie!! Is really beautiful, congratulations, God Bless you all! What a cutie pie. Such a blessing.